Riviera RV199 Alloy Wheels. 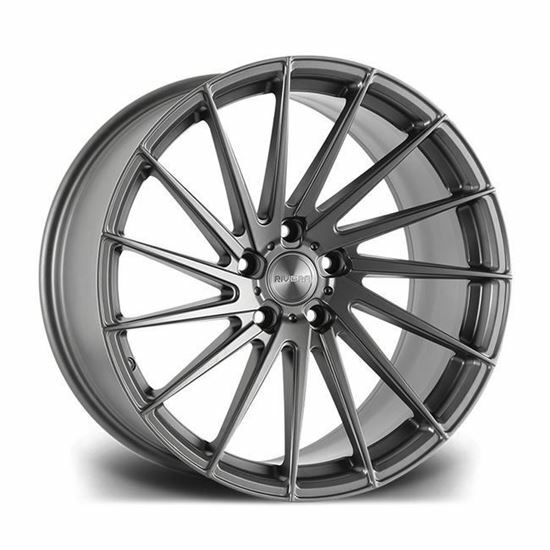 The RV199 is a distinctive alloy that utilises 15 tapered spokes running all the way to the outer extremities of the wheel. The aggression is turned up a notch thanks to the RV199’s spiralling design; featuring spokes that point clock-wise. This gives a far more aggressive stance at rest, giving the impression the vehicle is ready and waiting to ”launch”.